Seven weeks I've now been taking Herbalife and I have to admit I'm not being as strict as I used to be. I need to keep on top of my protein intake as I'm now gaining muscle (over 2lbs of muscle last time I weighed in!) and I just need to be strict with myself again. I'm not eating sweets or other junk foods but I'm just not eating enough. I still have my shakes, my yogurt and my smaller portion dinner or my solely protein dinner of eggs and beans but I went completely off tuna for awhile after tasting the horrible Aldi tuna, I really need to start eating it again as it has 26g of protein - that's a huge amount! I'm not able to weigh-in this week as I'm away visiting my father so the stats given below were the stats I got off my Herbalife coach when I weighed-in with her last Thursday and I think the stats are fabulous for just six days between weigh-ins! In 6 days I was after losing another 15cm/6 inches off my body, that's unbelievable! My stats are all going the right way and my body is gaining water and muscle. My body fat is going down (yay!) and my visceral fat has gone down too which is super important as that's the fat around your organs. I've been disappointed by my weight loss, I thought it would be quicker as I'm having so much protein but I'm learning that it's the body stat figures which really matter rather than total weight loss. Total weight loss - Don't know, haven't weighed-in. I've had some people message me asking about the price of Herbalife. I take the Formula 1 Shake which is €40 a tub and that tub lasts about 8 to 10 days. I also take the Personalised Protein Powder which is €31 a tub and that lasts 10 to 12 days. I also take the Fibre and Herb tablets which are €16. I take 4 a day and my tub of them is still going strong 7 weeks later so they're great value. 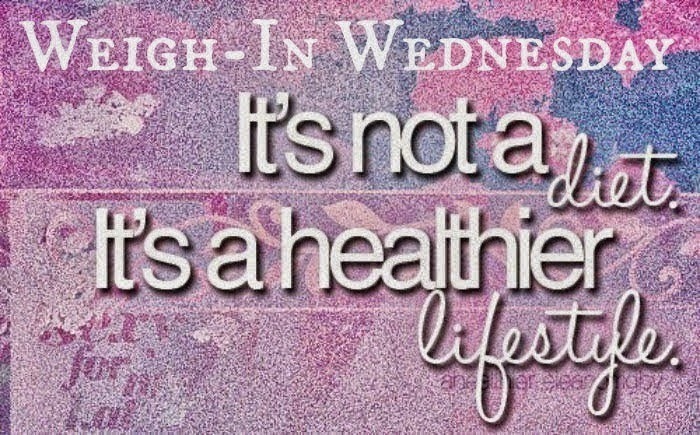 I'll be back with another weigh-in update next Wednesday which will mark two months on my Herbalife journey. I hope the stats are good! Good luck at your weigh in! I always find them stressful! I've upped my protein & carbs intake & the results are amazing. The scales aren't shifting much but in 6 weeks I've lost 5 inches off my waist, 4 off my chest & 3 off my hips. More importantly I feel so much better: loads more energy, sleeping better etc. Keep up the good work!